A-HOTEL.com - Luxury and cheap accommodation in Salair, Russia. 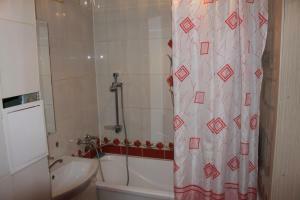 Prices and hotel, apartment booking in Salair and surrounding. Set in Gavrilovka, Сибирская здравница features free WiFi. With a seasonal outdoor swimming pool, the property also has a shared lounge. Inn Prazhechka is located in Belovo and has a fitness centre and a shared lounge. All rooms feature a flat-screen TV with cable channels and a private bathroom. Astra Hotel is located in Belovo and features a bar. Featuring a 24-hour front desk, this property also provides guests with a restaurant. Situated in Polysayevo, Gostinitsa Prichal offers a bar. Boasting a 24-hour front desk, this property also provides guests with a restaurant. Кирова 30 is located in Leninsk-Kuznetskiy. The accommodation has free WiFi. Boasting a bar, Загреб is located in Leninsk-Kuznetskiy. This 4-star hotel offers free WiFi. Minihotel on Rozy Lyuksemburg is offering accommodation in Leninsk-Kuznetskiy. Providing a restaurant, the property also has a garden. кирова 88 is located in Leninsk-Kuznetskiy. This property offers access to free WiFi. Пушкина 6 is situated in Leninsk-Kuznetskiy. Guests may enjoy free WiFi. Situated in Leninsk-Kuznetskiy in the Kemerovo region, Кирова 81 features a balcony. Guests staying at this apartment have access to free WiFi. 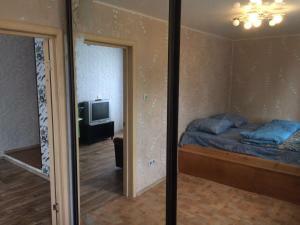 Offering free WiFi and city views, Apartment on prospekt Kirova 81 is an accommodation situated in Leninsk-Kuznetskiy. Guests staying at this apartment have access to a fully equipped kitchen. Однокомнатная квартира is set in Leninsk-Kuznetskiy. This apartment also features free WiFi. Зварыгина 15 is located in Leninsk-Kuznetskiy. Guests may enjoy the free WiFi. Шевцовой, 10 is located in Leninsk-Kuznetskiy. This property offers access to free WiFi. Кирова 116 is set in Leninsk-Kuznetskiy. Guests can enjoy the free WiFi. Григорченкова 33 is located in Leninsk-Kuznetskiy. This apartment features accommodation with free WiFi. Химиков 10/2 is situated in Leninsk-Kuznetskiy. This apartment offers accommodation with free WiFi.